Kevin doesn’t want a pat. He doesn’t want a tickle. When Kevin the cat’s nap is disturbed by his owner, wanting to give him some attention, he is not impressed. His owner wants to pat him, tickle him and even cuddle him. But Kevin is not all impressed. He just wants some space. Until he sees the dog getting attention instead. Now he thinks he might quite like some cuddles. For a while. The Cat Wants Cuddles is a humorous picture book which cat owners will find especially relatable. Kevin seems to think the world revolves around him – and is really contrary. Yet somehow, he is also likable. The text includes no narration or tags. The owner’s words are presented in bold in the opening pages, with Kevin’s responses (not understood by the human, of course) are in thought bubbles. For the majority of the book, the only text is these thought bubbles. The illustrations focus squarely on Kevin’s expressions and actions, with the human only shown as shoes, hands and a lap. Dog (who remains unnamed, seemingly because Kevin doesn’t dignify him with one) is shown on several spreads, looking slightly confused and long-suffering. Kids will love the humour of this one. Waiter, fetch me a bowl of your best custard. Haven’t I made myself clear? Kevin the cat is very hungry, but his human doesn’t seem to understand what he wants. He is offered chicken, sardines, beef and even pigs ears. But what Kevin wants is a big bowl of custard. His efforts to be understood include begging, spelling out custard with his body, and staring at the fridge hungrily. But nothing works. Then, in the middle of the night, the fridge is left open, and Kevin helps himself to what he wants. Or what he thought he wants. The Cat Wants Custard is a funny picture book, which kids will want again and again. The owner’s voice features only in the first few spreads and in the illustrations appears as just a pair of legs or a hand, so that for most of the book Kevin is the sole voice, facing the reader even as he speaks to the owner. Little kids will love that they know what Kevin is saying, even when his owner doesn’t. Cat lovers will also relate well to Kevin’s actions. Mama will keep you safe and dry. As the sky rumbles, rain falls and the wind bangs sheds and sways trees, Mama Possum hastens to reassure and protect her baby, singing her a lullaby to let her know she will keep her safe and warm. To the tune of ‘Hush, Little Baby’ Hush, Little Possum gives an Australian twist to the old favourite, brought to life in adorable illustrations by Wendy Binks. The big-eyed possums traverse stormy farm scenes, with appearances by other animals – both wild and farm animals – giving lots for youngsters to spot and enjoy. The hard cover picture book is accompanied by a recording of the song, sung by Deborah Mailman, as well as an instrumental version for singing along. A cute offering for preschoolers. Can you tell which one is me and which one is Moo? Eats Mum’s flowers from the backyard. He just loves the purple ones. The young narrator introduces his friend Moo and talks about how Moo came to be his friend and part of his family. Moo was small when he arrived but is now much bigger than the narrator. His family accept Moo, despite his clumsiness and his struggles with the house rules. Now that the narrator is at school, Moo sometimes goes too. And it is at school that the narrator discovers that other children have special friends too. These special friends are really good at different games, much better than the narrator’s friends. When a sleepover gets a little scary, the narrator tells his friends about Roar, the lion who lives in his wardrobe. Illustrations are digital in muted greens, blues and browns and provide plenty of humour to the spare text. Me and Moo is a story of imaginary friends. 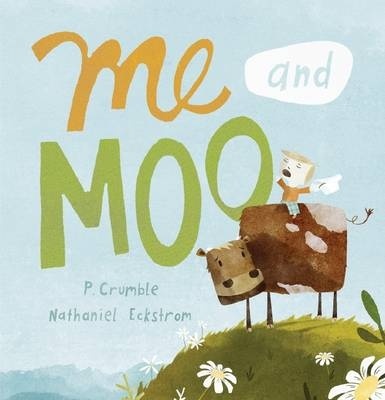 While Moo helps the narrator in his everyday life, the imaginary friends of his school friends also help him to realise that he is not the only one who sometimes needs help. When the sleepover looks like it might be derailed by the scary stories the narrator is telling, he offers Roar, who lives in his wardrobe as protection for them all. Gently told, with a solid dollop of humour, Me and Moowill help timid children to feel less alone. Recommended for pre- and early schoolers. He would become a singing superstar! Tortoise has completed auditions and is to sing and play his guitar at a talent competition. He attributes at least part of his success to his wig, but as he prepares for his big day, he cannot find it anywhere. As he searches, trying not to panic, other animals discover his wig on the bus. The wig begins a journey of its own, being tested and rejected by several potential wearers before Tortoise’s friend Hare finds it. He knows just how much importance Tortoise attaches to the wig, so he speeds to the auditorium to return it. Tortoise, although nervous without his wig, is ‘wowing’ the judges and Hare realises that the wig he has retrieved is no longer needed. Tortoise shines without it! Tortoise and the Hairis told in rhyme with full colour illustrations which include many other animals. 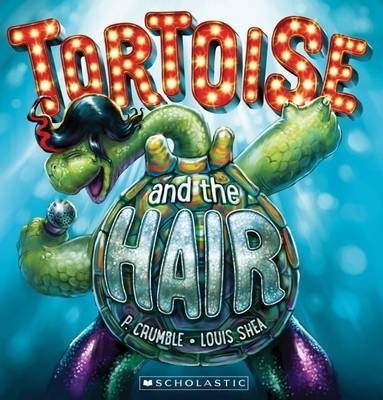 Tortoise and the Hair is a very different take on a traditional tale, although elements of the original can still be found. Instead of the message being about ‘slow and steady’ winning the race, Tortoise is held up by his need for his ‘good luck’ wig. Hare’s speediness is employed, not in racing Tortoise, but by returning his wig to him. This is a colourful story with a gentle reminder that external decorations ‘make not the man’. There are also themes of friendship and nods to other stories. A fun story for pre- and early readers. The old lady of the title has quite an appetite. 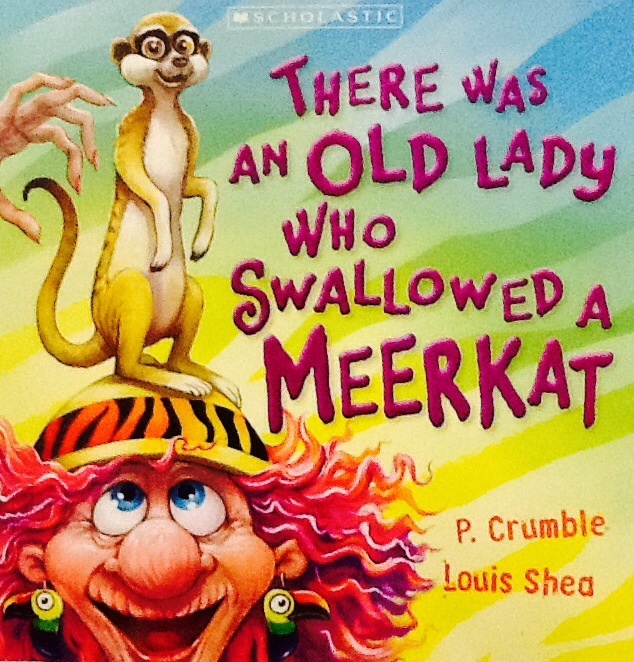 Not content with swallowing a meerkat, she consumes an owl, a hyena, a lion and more. This take on the well-known traditional rhyme is set in the zoo, where she has access to animals from all around the world. Other zoo visitors look on in surprise as she continues her swallowing. Things get more and more out of hand until the old lady swallows a hippo. Full colour illustrations take on an escalating psychedelic feel with bright colours and wild internal scenes. Many readers will be familiar with the original ‘There Was an Old Lady Who Swallowed A Fly’, and this version continues the nonsense at the zoo. Young readers will giggle at the antics of the old lady, the victims and the observers. As with the original, the action is sufficiently absurd, as to be comical rather than believable. The text is rhythmic, rhyming and cumulative and young children will soon be able to join in the ‘reading’. The text for the animals is presented in different and larger fonts, ideal for young pre-readers to start identifying word shapes. Good fun, with plenty of extra story to be found in the illustrations. Recommended for pre- and early-schoolers. There was an old bloke who swallowed a bunny. Based on There Was an Old Bloke Who Swallowed a Bunny! and part of a series of similarly based stories, ‘There Was an Old Bloke …’ is a comically absurd romp through the countryside. He has an explanation for the consumption of all animals except for the bunny – that’s just funny. Illustrations are full page and full of detail. The refrain curves on the page, and each about-to-be-consumed animal word is in bold. All of the animals on the Old Bloke’s menu are farm animals except for the bunny, which would probably be most farmers’ first nibble. 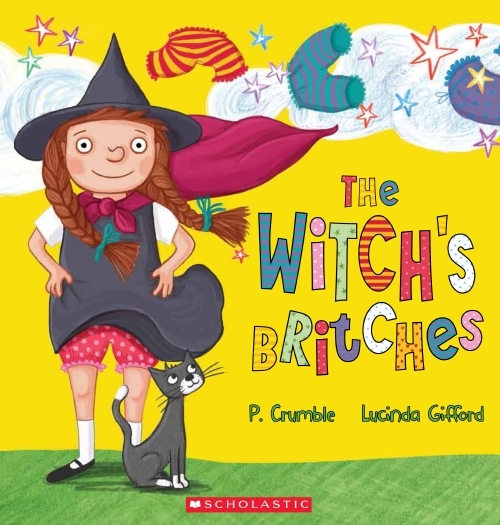 The world needs some nonsense, some silliness, and this series of books modelled on an old folk rhyme is perfect in delivering it. And much learning can be slipped in underneath the silliness. The rhyme, rhythm and repetition in these titles are perfect for pre-reading skills. Children learning to read can predict what’s coming next and before long will be able to ‘read’ it themselves. Recommended for pre- and early-schoolers. Author Claire SaxbyPosted on September 23, 2013 Categories Picture BooksTags louis shea, P.Crumble, scholastic australia, There Was an Old Bloke who Swallowed a Bunny! If you’re cheeky and you know it, clap your hands. If You’re Cheeky and You Know It! is a new take on an old rhyme/song. It takes a familiar rhyme/song and introduces a range of cheeky animals. It begins with a monkey and adds a new animal each opening. A cheeky monkey is joined by a penguin, frog, hippo and more, and they frolic through the pages. Illustrations are mostly set in white space although there are also full bleed spreads. Text bops around the spreads. If You’re Cheeky and You Know It! offers the opportunity to add some silliness to your life and to the reading experience. The rhythm, illustrations and bouncing text make it almost impossible to just read – singing and joining in is almost mandatory. Young listeners will enjoy mimicking the actions portrayed. A fun experience for pre- and early-schoolers. It’s a hot summer’s day and Sheep suddenly finds himself on the beach. Luckily, with a little help from a friendly crab he soon has an umbrella, a towel, even an esky full of cold treats. Is thsi really happening, or is Sheep still the paddock dreaming about the beach? Sheep on a Beach is a funny, simple celebration of the beach, using cumulative text to tell of Sheep’s adventures on the beach. Because it is cumulative, even very young children will be able to join in, soon recognising the pattern. The bright digital illustrations are full of fun and details which youngsters will enjoy exploring, The crab is a key character, though he isn’t mentioned in the text and his role seems initially incidental. Perfect for summertime reading Sheep on a Beach is packed full of giggles. Available from good bookstores pr online.